This January, we hosted our first-ever Outpost Startup Sponsorship, with the support of Geeks in Cambodia. Our mission was to find a high potential, early-stage startup based in the Kingdom of Cambodia. A big congratulations goes out to our winner, DApact, a local blockchain startup. 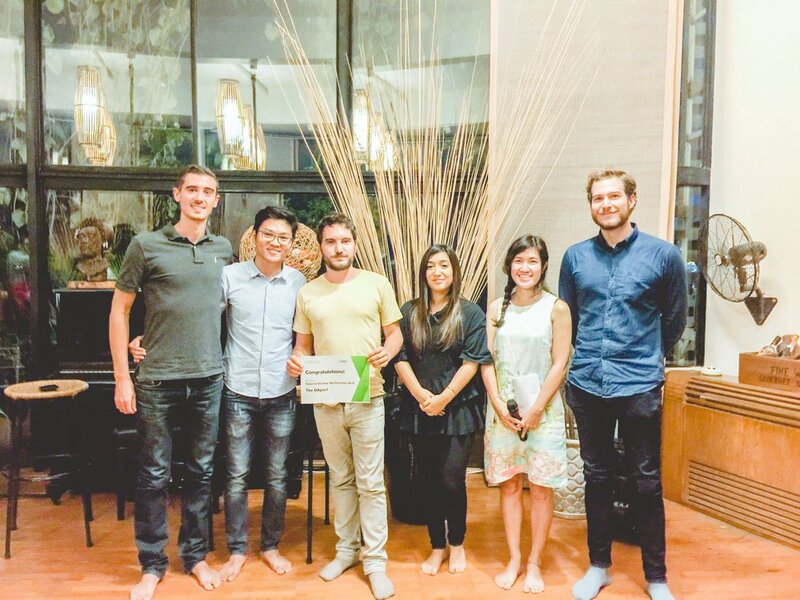 “The strength and inventiveness of the entries is testament to the enthusiasm and dynamism of the Phnom Penh nascent startup scene. We see tremendous potential in DApact. We’re honoured to provide them a nurturing environment to grow. We’re dedicated to supporting the entrepreneurial spirit in the Kingdom as we have done in other locales,” said Outpost’s co-founder, Bryan Stewart. We were so impressed by the entries the competition judging team decided to award a runners-up prize, which went to early-stage music startup KHhits. They received three months of free coworking for their team. A genuine thanks to all those who submitted entries -- and all who attended our Startup the Party! event at the Green Penthouse. We're looking forward to an exciting and entrepreneurial 2018! Read our press release here. Get the latest Outpost Cambodia updates and news, and learn about what’s on at the Green Penthouse. No spam, just the good stuff. We promise. Copyright © 2017 The Green Penthouse. All Right Reserved.